The City of Berkeley is considering requiring gas stations to display climate change warning labels on gas pumps. Environmental group 350 Bay Area, which is leading the "Beyond The Pump" campaign, says the goal is to inform the public about the harmful effects of CO2 emissions. "We have to change the social context of burning gasoline," says Jamie Brooks, with 350 Bay Area. 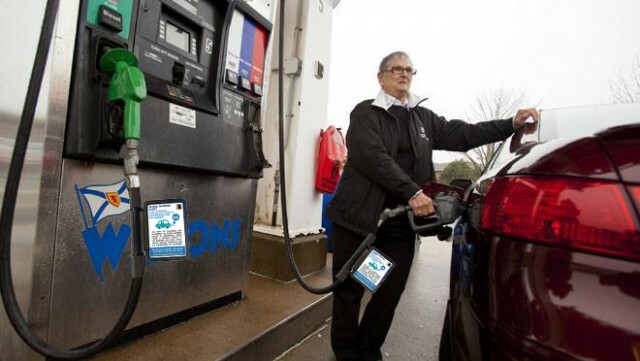 Putting messages at the point of sale of gas will influence human behavior, he says. He compared the proposed stickers to the warning labels on cigarettes. The Western States Petroleum Association sent a letter to the City of Berkeley arguing that the ordinance is unconstitutional. The oil lobby group says it would violate a gas station owner's right to free speech by compelling them to display statements about "alleged" impacts of global warming. 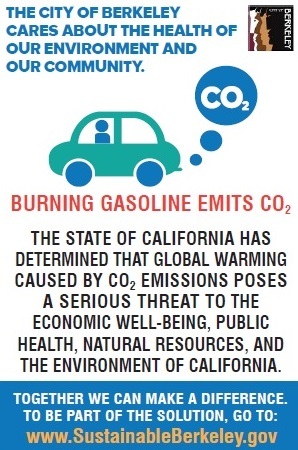 But 350 members say the labels would simply cite state laws, such as AB 32, which state that emissions are harmful to humans and the environment. "We feel that the message is accurate and noncontroversial," said Jack Fleck, a retired transportation engineer and 350 Bay Area member. "It is simply a fact that the state has found that greenhouse gases pose a serious threat to the public health." Berkeley's Community Environmental Advisory Commission voted Thursday in favor of drafting an ordinance. The city council could vote on the proposal as early as this fall.